1. I ran my first ever Chase Corporate Challenge last week. My old company didn’t participate, so this was the first year I had the opportunity to run. I had heard, over and over again, from just about anyone who had ever participated, that the race is a total cluster every year, and I really wanted to see the madness for myself. Holy smokes. It is absolutely mind-boggling to me how an event THAT huge can be THAT poorly organized. I don’t know how many people finished the race, but I do know that over 27,000 people registered for the race. I also know that, unless you count both Hot Chocolate races (the 15K and 5K) as one race (which you could, I think, since they take place at the same time), that number is enough to make the Chase Corporate Challenge the second largest race in the city of Chicago. Bigger than Shamrock. Bigger than Rock ‘n’ Roll. Bigger than the Hot Chocolate 15K or Hot Chocolate 5K (but not both combined). That means the ONLY race larger than the Chase Corporate Challenge is the Chicago Marathon. And yet somehow, this race, or at least the running portion of it, is thrown together with the organization of your average charitable 5K with 15 participants in the suburbs. It felt like someone in charge of employee wellness at JPMorgan Chase proposed the idea of an employee 5K at a meeting, and someone else said, “Great idea! Let’s invite our friends at other companies, too!” (and then a third person said, “Just how far is a 5K, anyhow?” to which someone replied, “I don’t know, 3.5 miles, I think?”), and that is exactly where the thought process that went into this event ended. Here’s a fun fact: organizing a fun run on the Lakefront Trail with no timing, no entry fee, no rules, no nothing, is easy. Organizing an actual, legitimate, timed event, is not easy. Ever. Anywhere. Especially in the city of Chicago (or any major metropolitan area, I’m sure). Coming up with the idea to put on an event is step one out of about 234,727,342 steps required to pull off a successful event. My favorite (?) part about this run was that, despite the fact that 27,000+ people signed up to run, no one, at any point, thought, “You know, we should probably attempt to organize these runners by anticipated pace.” Remember how I complained about how there was no guidance to the self-seeding for the Chicago Spring 10K, and then tempered that complaint by saying how it wasn’t the biggest deal in the world, because there were only 818 runners anyway? Right. Well, what’s not a big deal with 818 runners becomes a big effing deal when you have 33 times more participants. Can you imagine if the Shamrock Shuffle had one assigned corral, the elite corral, and then four other corrals that anyone could use, with no rhyme or reason whatsoever, without even any sort of guidance that the fastest people should use Corral A while the slowest people use Corral D, but rather announced suggestions that the fastest people should line up in the front of each corral, while the slowest people line up in the back of each corral? No, of course you can’t imagine that, because the Shamrock Shuffle would never do that. But somehow this race, which had roughly 3,500 more registrants than the Shuffle had finishers this year, finds that to be the logical way to organize things. Maybe I’ve been sequestered in the running world for too long, but I absolutely cannot, for the life of me, comprehend how NO ONE, not one single person, involved in the organization of this event–which not only hosts a race in Chicago, but hosts races around the world from April through November–has ever grasped the most basic concept of race organization–nay, of human organization. Maybe I’m stubborn, maybe I’m blinded by my experience, but I simply refuse to believe that even making the slightest effort to organize people by pace is a concept unfathomable by those outside of the regular racing world. Anyway, I knew to expect this, so while I did find the walker-dodging to be a little annoying, it was hardly the end of the world. I went into this event really with no hopes or dreams other than finally experiencing the insanity of it for myself, and that’s exactly what I accomplished. While that wasn’t my exact intention for Soldier Field, I had a bit of an epiphany while running on Saturday. Over the past five years, I’ve run 49 races. 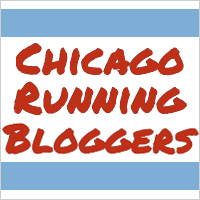 Out of those 49 races, I can think of three–the Rock ‘n’ Roll Half last year, the Chase Corporate Challenge, and Soldier Field this year–where I went into the race with no performance-related expectations to speak of. While I probably wouldn’t label any of those races as “fun,” as they were all hot and/or humid, I did feel substantially more relaxed at all of those events than any of the other 46 races I’ve run, and did not care in the least that I ran poor times (my time at the Chase Corporate Challenge was actually much better than I anticipated, but Rock ‘n’ Roll and Soldier Field were both enormous personal worsts for me). Even though I very, very rarely stand a chance at placing in my age group, never mind placing in a race, I didn’t realize how much pressure I put on myself to turn in a good-for-me time at nearly every event I run. Of course, the competitive part of running, even if I’m only competing against myself, is part of its appeal, and I can’t see myself approaching every event from here on out with such a blase attitude. But man, that kind of chillness makes a HUGE difference in how I feel post-race when I haven’t had the race I hoped to have! 2. Well, all of 11 days into this year’s gardening adventures, I’ve already had a casualty. Along with begonias and impatiens, I bought pentas this year–a flower I had never heard of, let alone tried to grow, prior to two Saturdays ago. When I planted my flowers in their pots, I noticed one of the pentas had a droopy stem. I figured I had packed it poorly in the flat, and maybe it had gotten a little torn on my way home or something, and planted it anyway. Well, one week later, I had gone from a droopy stem to a droopy plant, as pictured. I took it to the garden center where I bought my flowers, and, after looking at the roots, they told me I had underwatered it. Personally, I don’t know how this could even be a possibility, given that I watered it the day I planted it (May 21) and then again the following Wednesday (May 25), and by May 29 we had the mess you see in the picture. I suspect the plant was knocking on death’s door when I bought it. But such is life, I suppose. I bought a new one when I was at the garden center, and so far, it seems to be much happier and much less dead than its predecessor. 3. I went to packet pickup for Solider Field on the first available day last week (Tuesday), because I didn’t think my schedule would allow me to go on Wednesday, Thursday, or Friday. What I didn’t realize was that by going to packet pickup this early, I just so happened to be in Fleet Feet at the very start of their killer 60% off Memorial Day sale. Whenever those sorts of sales happen, I expect to see like three items, all of which are either XXS or XXL, or things that were so expensive in the first place that even at 60% off, it’s still more than I want to pay for something I’m just going to sweat in. Imagine my surprise, then, when I discovered this super cute Brooks tank in my size! Even with tax, it only cost a smidge over $14, which I think is the lowest price I’ve ever paid for any workout clothes that didn’t come from Target’s clearance rack. Hooray sales! Have you ever run the Chase Corporate Challenge, either in Chicago or elsewhere? Has anyone grown pentas before? My mom hasn’t, and she’s my go-to resource for gardening advice, if anyone else has, I’d love to hear about it! There was ONE year when I did Chase where they asked you to put in a time when you registered and then assigned colored bibs that aligned with corrals based on those times. I think the biggest issue is that it companies use it as an excuse to have a huge picnic and so many people who have never done a race at all come out and have no idea what to do, let alone what time to put in when they register. If I recall correctly, the corral system didn’t work because people just crammed themselves in wherever anyway. I think Chase just gave up, to be honest. Also, the first year I ran it (2009) it wasn’t even timed. Crazy, right? Oh my gosh. If that race wasn’t timed, you couldn’t have paid me to run it. Maybe they should just rebrand and call it the “JPMorgan Chase Corporate Picnic [with Optional 3.5 Mile Run].” Then everyone can have their party tents and only the people who want to run can run. Maybe that would solve things! Girl, you are a racing fiend! I feel like every other day I log in here you are recapping some race! I agree with Erin above, I think with events like these they are targeting an audience that may never have raced before, or run before, let alone know what their pace or expected finish time would be. These types of events tend to not really be “runner’s” events, just a big party that happens to have a run attached. And I mean no disrespect, that’s completely okay. It’s just a different crowd. But yes, still frustrating. NICE score on the tank! Last week was bonkers. I ran three races in six days, which is NOT how my life normally works out! I generally try to keep it to once a week at the most 😛 But seriously, last week was nuts. I don’t have any more races on my calendar until late September at this point, though! Gotta love the cluster that is the Chase Corporate Challenge! At least until a few years ago, you had to “self report” your finish time (i.e. no chip time and nobody tracking runners). I’m sure 50% of the runners did not look at the clock as they finished so they kinda guessed. Each team captain would collect the times and submit them! Also, I remember people in jeans shorts and flip flops lining up in front of me and starting 300 people back and spending the first mile of weaving. Also, saw runners cutting the course short. Also it was always held on the hottest day in August. I think they had to move it to May because one year it was about 100 degrees. HAHAHA what a disaster! I can’t believe this thing keeps going. They’re clearly not hurting for participants, but my goodness. What an experience. Thank goodness they don’t do it in August anymore, though – last Thursday was hot enough! OMG, I ran the Corporate Challenge once and will never do it again. What a joke it is! Nothing like having walkers in jeans and sandals lining up 6 in tandem at the very front of the corrals, plus seeing people blatantly cheating and cutting the course short. I see that Pete basically said exactly the same thing above, too. You’re right about the 3.5-mile distance, too. I get so stabby when all the non-runners talk about the Corporate Challenge 5K. I wanted to tell them all to get it straight, it’s NOT a 5K!!!! The worst part about the Challenge is that the organizers basically provide nothing for the race fee other than the race bib. All the participating companies provide their own shirts, their own tents, their own refreshments, everything. What a rip-off! I forgot to mention that – a bunch of people cut the race short this year, too. The whole thing from top to bottom is just such a…unique…experience. Hahaha.